Smoothe out lines and wrinkles. This quick, simple procedure is the UK’s most popular cosmetic treatment for the removal of wrinkles and is used by thousands of men and women to achieve fast, noticeable results. I couldn’t believe how simple and pain-free this was and the results are amazing! My old wrinkles are gone and I’m not making any new ones! 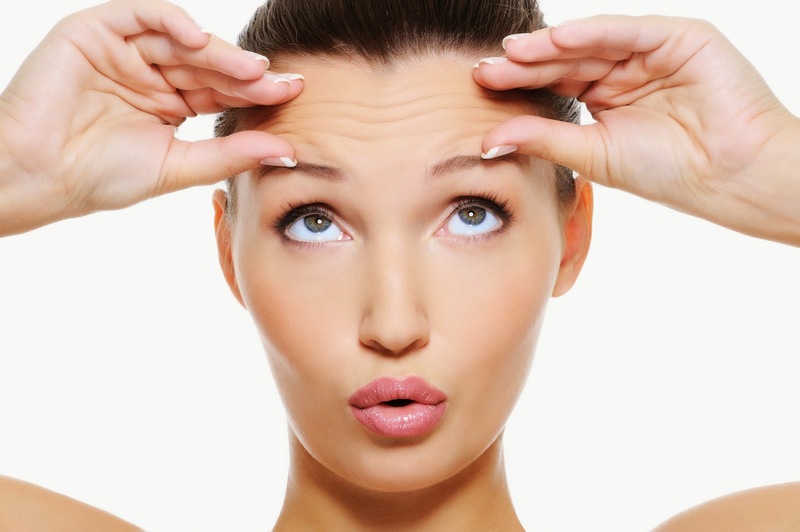 Anti-wrinkle injections are commonly referred to as “Botox”, short for Botulinum Toxin. This is a naturally occurring protein that causes the muscles in the face to relax, smoothing out lines and wrinkles. Botox can also be used, very effectively, to halt the wrinkling process or, in the case of younger skin, to stop wrinkles appearing in the first place. Botox can, in effect, stop the clock. This type of treatment can only be prescribed and administered by a qualified medical professional. Roberts McCarron prescribe only genuine Botox® and Bocouture® for this procedure. This treatment is carried out by our Clinical Aesthetics Consultant, Allison Roberts. You can arrange a free, no-obligation consultation with Allison who will discuss the results you would like to achieve and explain your options. Botox and Bocouture share an identical active ingredient, Botulinum Toxin A, and work in the same way to relax the muscles and reduce wrinkles. The only differences are that Bocouture comes in purer form and effects last, on average, 3.7 months whereas the effects of Botox last, on average, 3.5 months. Anti-wrinkle injections are the most popular choice of cosmetic treatment for people who wish to reduce forehead lines, frown lines or wrinkles around their eyes. This treatment is becoming increasingly popular with younger people as a preventative measure, stopping lines appearing in the first place. Is there a consultation for this treatment? Yes. This treatment can only be undertaken following a face-to-face consultation with a qualified medical professional during which a full assessment will be carried out and full list of cautions and contraindications discussed. The treatment will involve a series of small injections into the muscles of your face. The injection process itself will only take a few minutes. What type of Botulinum toxin will be used? Roberts McCarron only prescribe genuine Botox® and Bocouture®. Which is used will depend on your preference during your consultation. Whilst you may experience some mild discomfort with the injections the needles used are tiny and the procedure is largely pain-free. Allison is well known for her gentleness. You may notice some temporary soreness in the injection site directly after the treatment but this normally passes quickly. Botulinum toxin has been in medical use for over 40 years and is administered in such a way that it only affects the muscles and sweat glands and does not reach any other part of the body. As long as it is prescribed and administered by a skilled and qualified medical professional the risks are extremely minimal. Following the treatment you will be able to go about your day in your usual way although we do advise avoiding strenuous activity, saunas and other facial treatments for the first 24hrs. What areas can benefit from anti-wrinkle injections? The results usually last for three to four months, after which you may wish to return for another treatment. Most side effects are short-lived and mild, the most common being mild bruising to the site of the injection. Some patients also report mild headaches shortly after the treatment but these usually subside within 24 hours. Are there any circumstances under which I should not have this treatment? Allison will discuss all safety issues with you during your consultation. Do not consume any alcohol or pain medication immediately after the anti-wrinkle procedure and avoid air travel for 48 hours. We do not recommend undergoing any electrical rejuvenation treatments in the week following your Botox treatment.